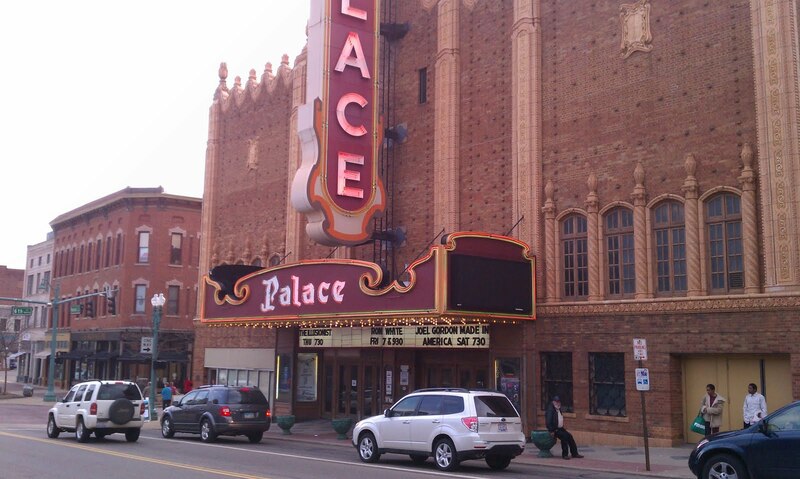 Elaine and I went to the Canton Palace Theater last night, April Fools Day, to watch comedian Ron White. 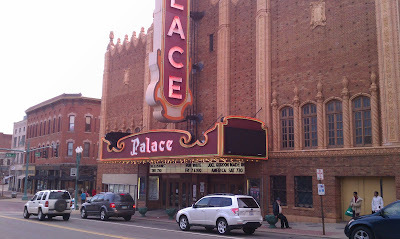 This was our first trip to the Palace Theater and we were looking forward to it as Aaron (or Matt as some of you(?) may know him) has worked their since November. Aaron was very busy working in the box office, so we just gave him a quick wave hi, but did not get to talk to him. Aaron was very excited about the show as Ron White is a big name A list comedian, so it was kind of a combination of Aaron working there, a big name coming in, and just a Friday night out after a long winter of being cooped up as to why we went. As for the Canton Palace Theater, it is a beautiful old style grand opera house type theater from another era, beautifully preserved with the ghosts, light, and ambiance of other days gone by. It was a real thrill for us to meet with Georgia Paxos, Aaron's boss. Very nice lady and she runs a good operation there. As you can see from the ticket, the performance was for mature audiences. We had watched Ron White several times on Comedy Central and he was funny with his unique take on things, life, and events. I knew about his trademark scotch drinking and cigar smoking. Also, I knew that he was raw (is that the polite term for dirty, filthy, potty mouth, obscene, trash talking, explicit, etc., etc., and, of course, etc.? ), but I did not know that he was that raw. Hmmm, Comedy Central must do the editing on most of that. Not to say he wasn't funny or we did not laugh, but I was not expecting the degree of the off-color rhetoric, which was extensive. I know, I know, I should have known, but I have never in my life heard such explicit and crude language and jokes like that. Well, okay, maybe around my sixth grade lunch table. Oh, there was an incident, too. 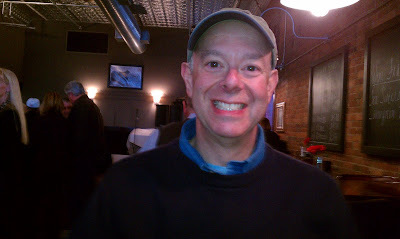 Ron was about ten minutes into the show and did make mention and a joke of a lady who was holding up a homemade sign in the first row, directly in front of him. At first I thought she was a plant or a shill. Another few minutes and Ron walked away from the microphone, bent down to face her, and let go with an angry profanity filled rebuke. Sounded like she was either talking to those around her or was trying to talk to him while he was performing. The jist of the tirade was that he could not allow her to be distracting to the other fifteen hundred people who had paid to see him perform. Right on, right on. He said that he tried to warn her, but things were already in motion that he had no control over. A few seconds later, three security officers escorted her and her friend from the premises with mixed response from the audience. The show went on, but Ron did express remorse about the incident towards the end of the show. This was as close as we got to see him. 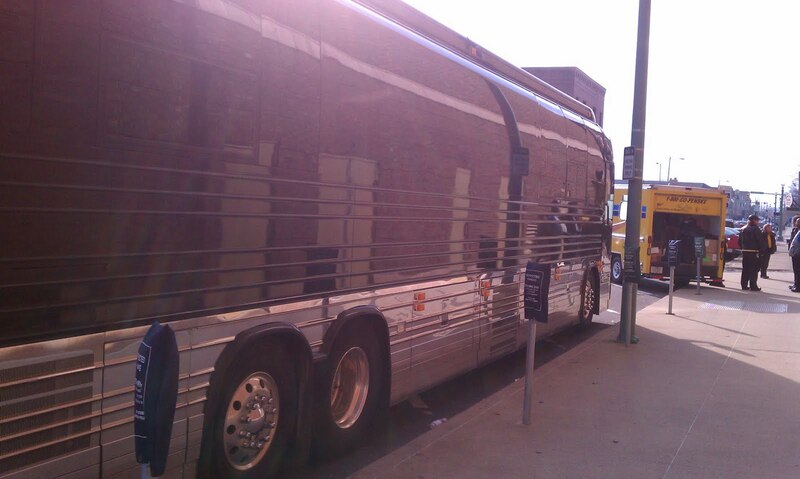 He was in his bus before the show getting a manicure and a pedicure. No, I'm serious. I met a co-worker for Aaron's (sorry, I can't remember your name, but it was nice meeting you) outside the bus who sounded like she was Ron's Official Gopher. 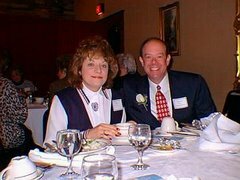 She said that Ron had called her from his cellphone to get someone right away for a mani and pedi. So she did. I don't think Ron travels from Los Angeles in this bus, even though I am sure it is luxorious. He has his own private jet (Ron White Air, I believe), which he probably flies to geographic locations where he is met by the bus and tours in the vicinity, then flies back home. Elaine and I got there way early so we could get a good parking spot and eat. Actually, we were able to park right across the street and got right out of town when the show was over. We had about an hour before showtime, so we went to The Brownstone, which was a bistro, bar, and grill across from the Palace. Very nice place and we had the lasagna and I had peanut butter pie. On the whole, it was a somewhat adventurous evening out. 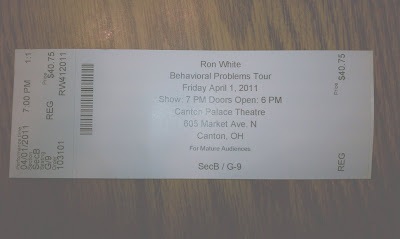 If you are a Ron White fan, you will enjoy the show, not to say that we did not, but we enjoy clean humor more. We are looking forward to attending more shows at the Canton Palace Theater. I would rate The Brownstone at ***. Great review! I enjoyed reading it. The Brownstone looks cool. Glad you to got to eat there and finally see the Palace!